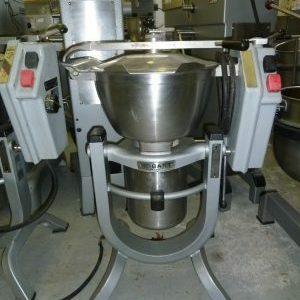 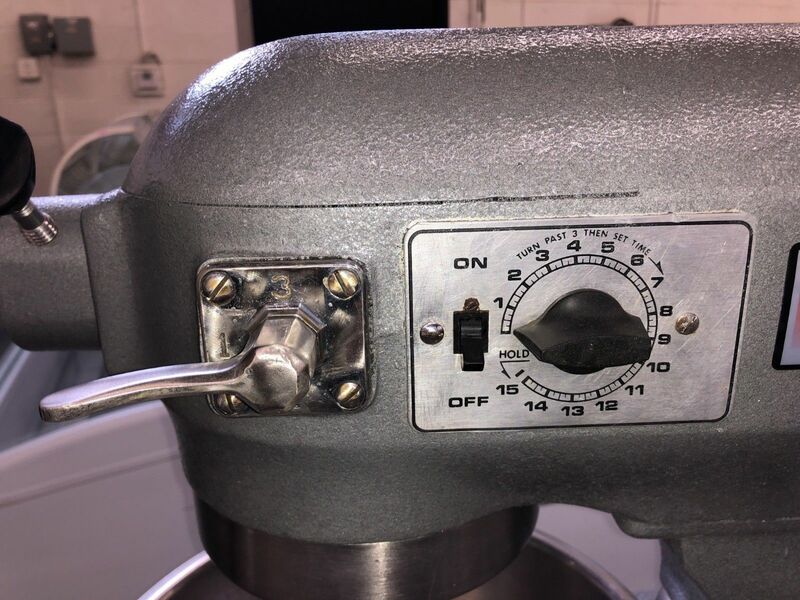 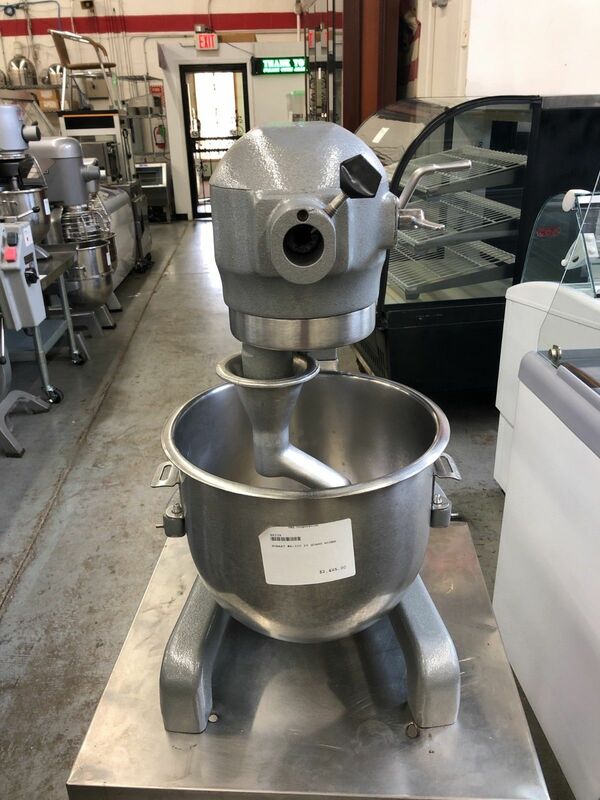 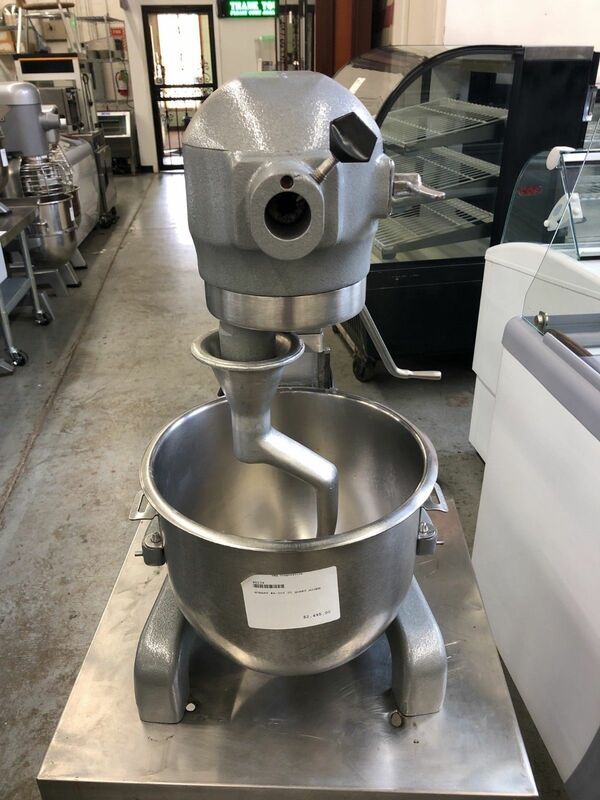 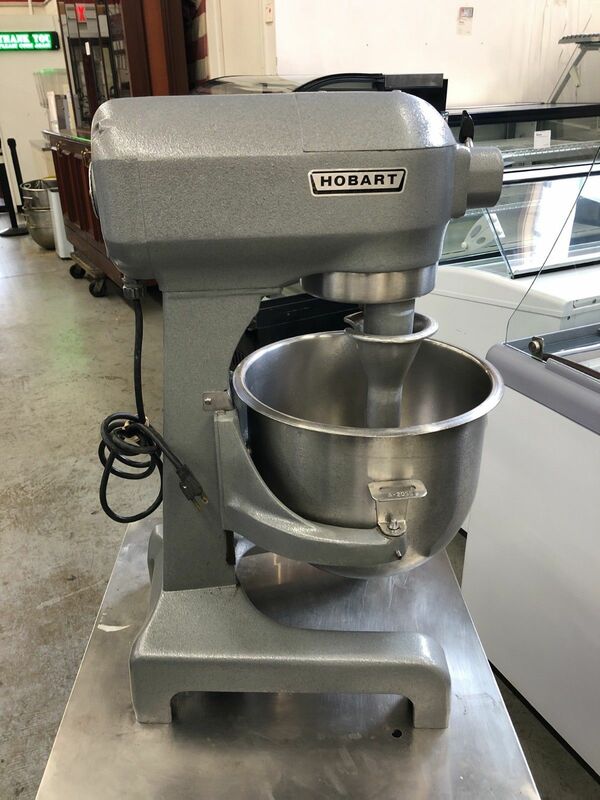 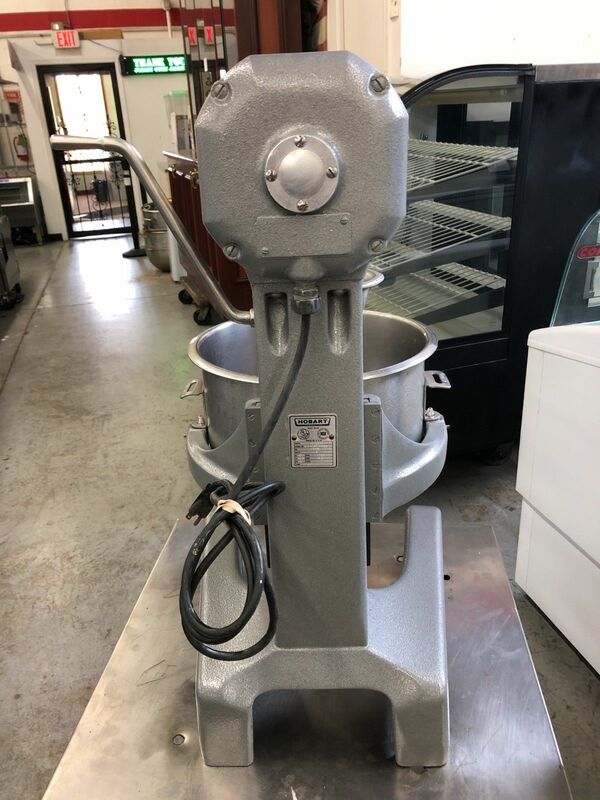 DESCRIPTION: This late model Hobart A200 is one of the most popular mixers in the world. 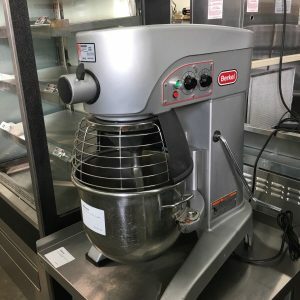 Conveniently sized to fit on a counter top, yet able to hold a decent amount of product, the A200 is the best of both worlds. 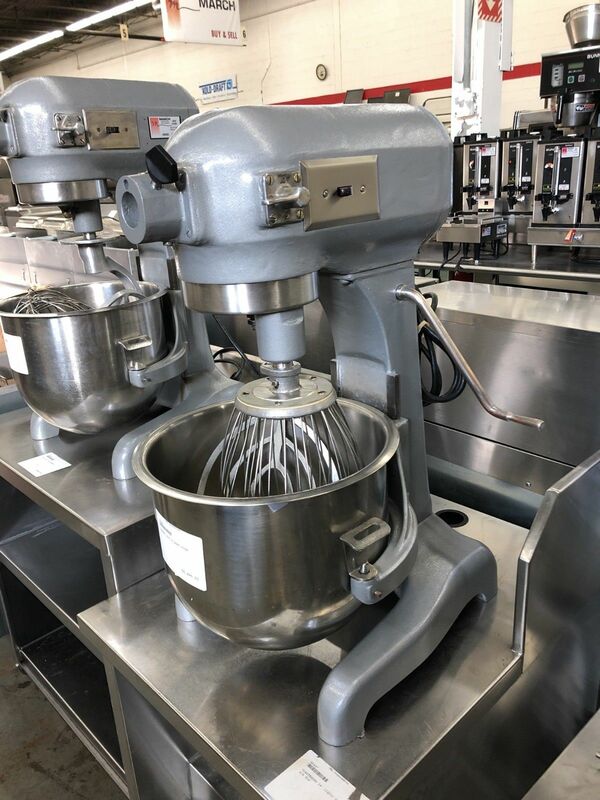 Powered by a 1/3 horsepower motor driving power through a three-speed transmission, these A200s are built like tanks. 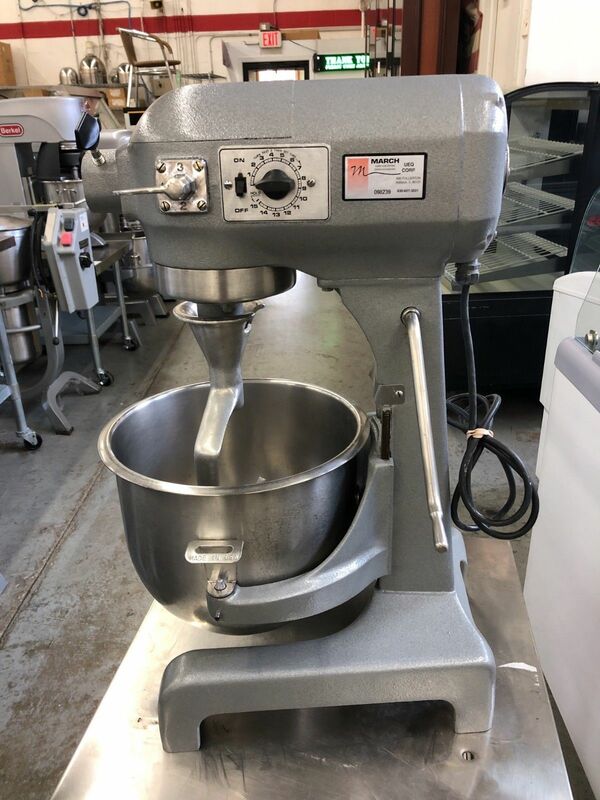 We currently have 3 of these legendary mixers available. 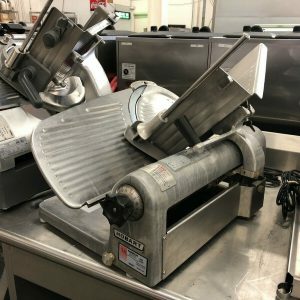 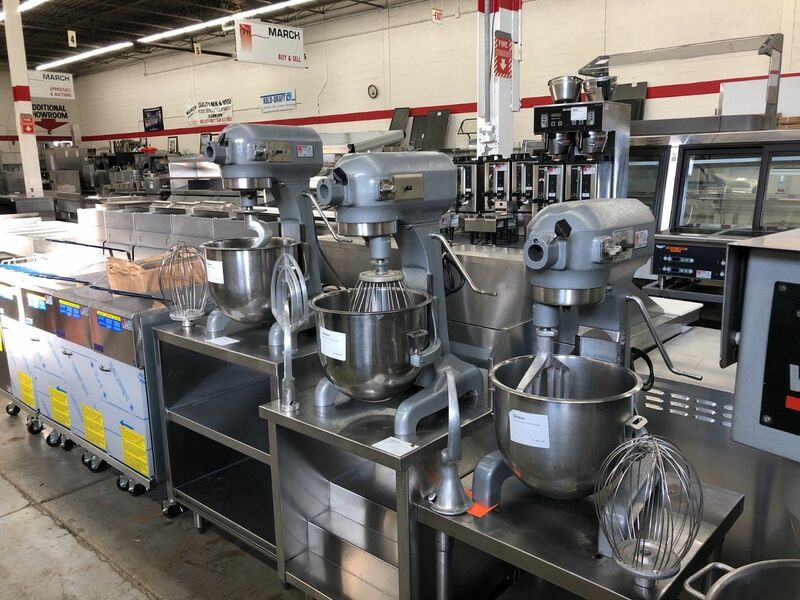 Our A200s have been cleaned, refurbished, and tested and are ready for a new home. 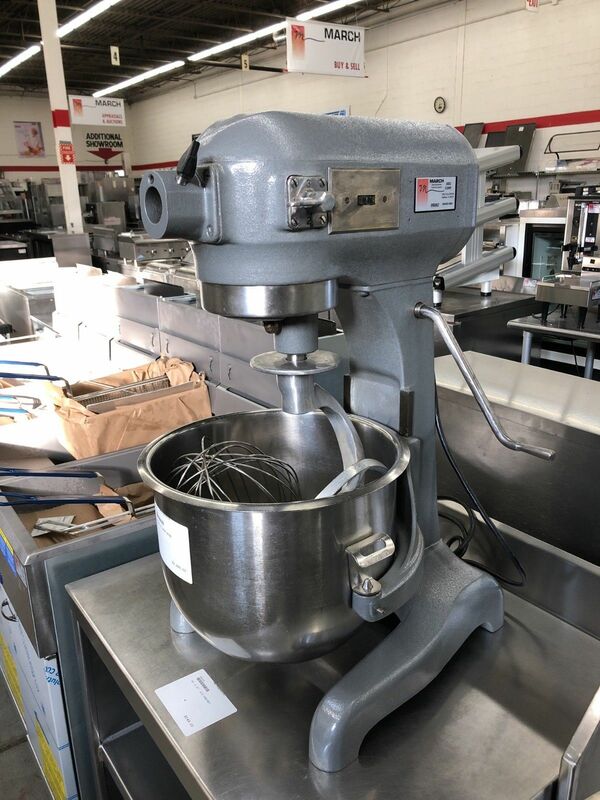 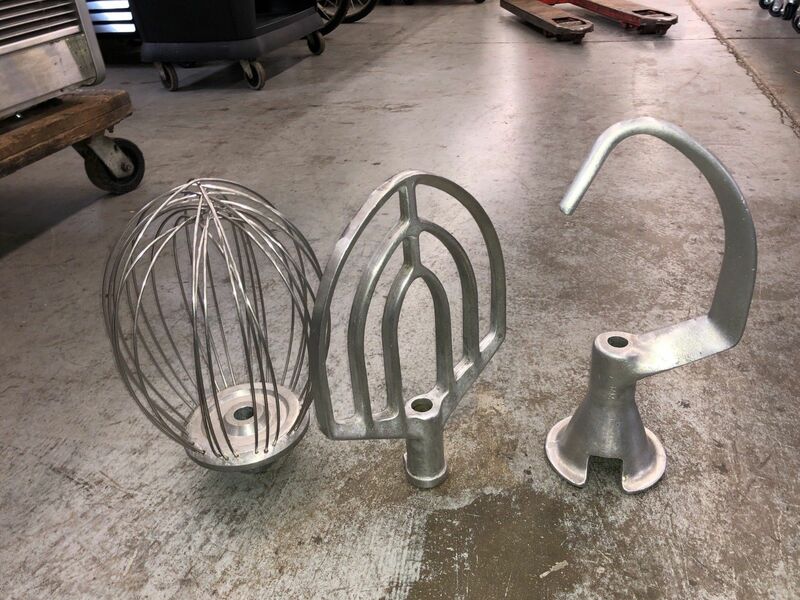 Additionally, each A200 comes with the stainless bowl you see as well as the three main attachments: a hook, a whisk, and a paddle. 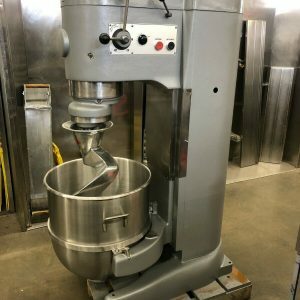 This item is backed by a 30 day parts/labor warranty within a 50 mile radius of our showroom in Addison. 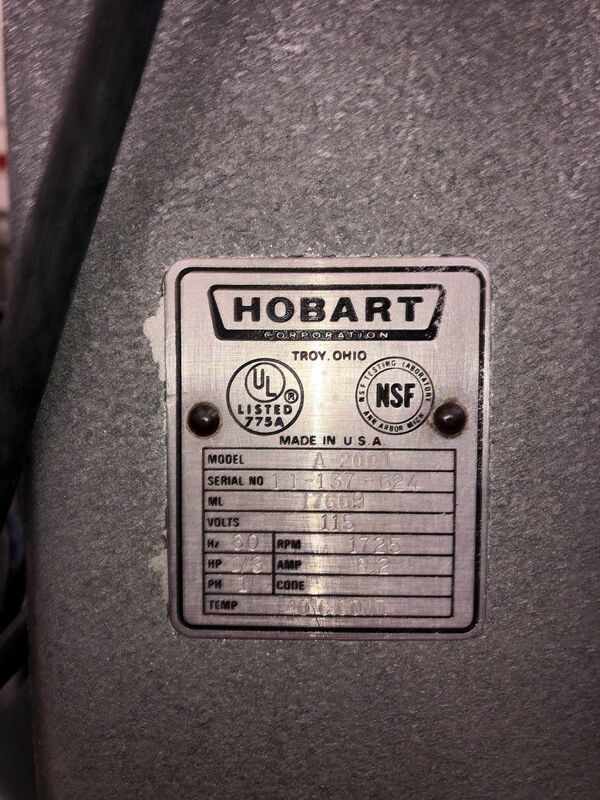 If you live outside our service area, in lieu of a warranty we’ll give you an additional 5% off the purchase price. 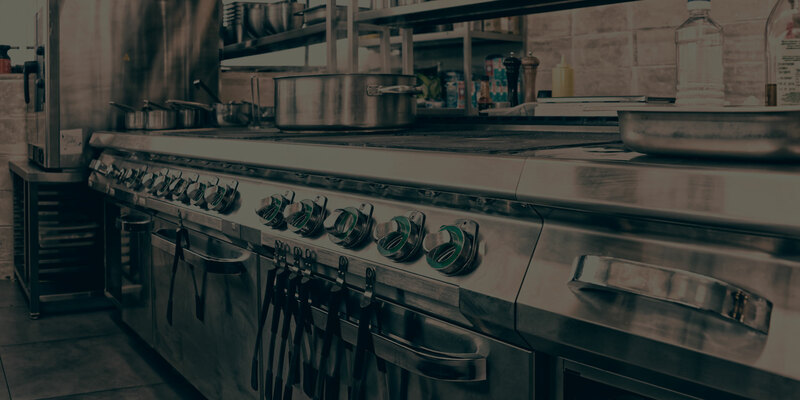 All of our items are guaranteed to be in working order when you receive them, no matter where you are.